The twin engine airplane was engaged in a humanitarian flight from Bolivia to Brazil, carrying one passenger and a pilot. 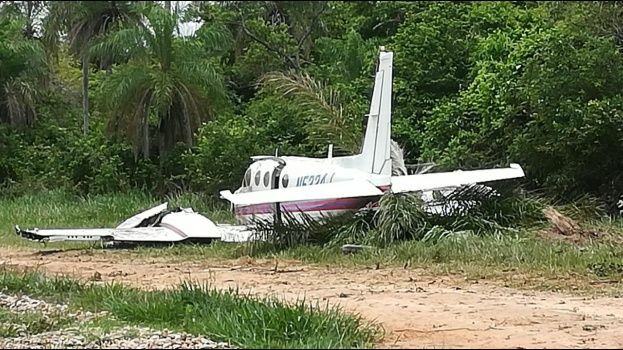 Shortly after takeoff from a little private airstrip located in the suburb of Santa Cruz, the crew was supposed to land at Santa Cruz-Viru Viru International Airport before continuing to Manaus, Brazil. 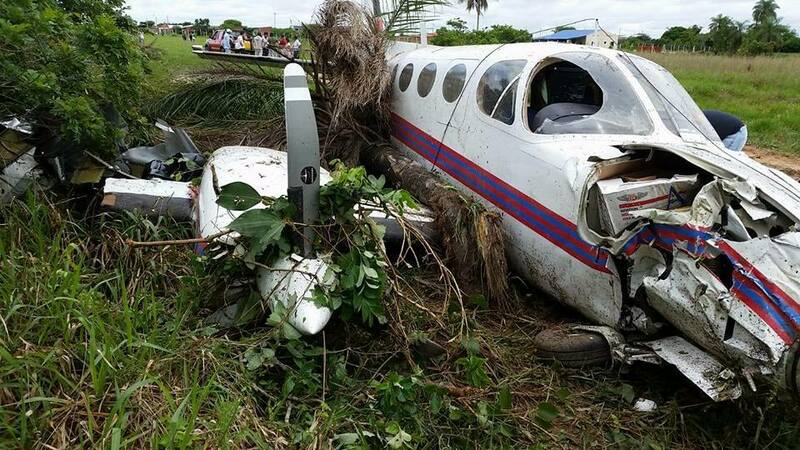 After takeoff, the crew encountered engine problems (power issue) and decided to return for an emergency landing when the airplane struck trees and belly landed in a grassy area located in Barrio Lindo. Both occupants were uninjured while the aircraft was damaged beyond repair.